For years, Harry Potter and the Prisoner of Azkaban was my favorite book in the Harry Potter series. This last year, however, I decided that I cannot decide--I love parts of each of them for different reasons. If I could take my favorite sections from each and mash them together, I'd have a thoroughly enjoyable though completely messed-up plotline: (#1) Harry learning he's a wizard and meeting Hagrid and the wizard world, (#2) Harry spending time at the Burrow with the Weasley family, (#3) Harry's conversation with Sirius Black about being his godson and his new hopes of leaving the Dursleys to live with Sirius instead, (#4) Harry and Cedric traveling by portkey to the graveyard, Harry's battle with Lord Voldemort, his scenes in the hospital wing and his conversation with Dumbledore thereafter, (#5) the forming of Dumbledore's Army and their meetings, (#6) Harry's lessons with Dumbledore, journey to the cave, and the battle on the Hogwarts tower, and (#7) Harry's times with Hermoine and Ron setting up camp around England and the entirety of the final battle. Ahhh, what a wonderful read that would be. That being said, you now know my favorite part of Harry Potter and the Prisoner of Azkaban, the book up for review today. The entire conversation in the Shrieking Shack is so fantastic. I love how Lupin takes the time to listen to and talk to Harry as if they were just having an ordinary lesson in class, in part because as readers we're soaking up each word. I loved learning more about Harry's father, James, and his days at Hogwarts as one-fourth of Moony, Wormtail, Padfoot, and Prongs. I loved that everyone was wrong about Sirius and that when given a chance, he offers his home to Harry without hesitation. The glimpse Harry had here at forming a new family was so exciting, and then devastating when it was taken away. (1) The passphrase to using the Marauder's Map, invented by Moony, Wormtail, Padfoot, and Prongs, but nicked by Fred and George Weasley: "I solemnly swear that I am up to no good." And how! (2) Remus Lupin chiding Harry for his thoughtless actions: "Your parents gave their lives to keep you alive, Harry. A poor way to repay them--gambling their sacrifice for a bag of magic tricks." To most fans, this line may be a bit of a downer and certainly not one they'd love. They'd prefer it if Lupin gave a sheepish grin and turned a blind eye to Harry's tomfoolery, the same way he did as a teenager with his best friends James and Sirius. But Lupin isn't a teenager anymore, he's grown up, lost many of those closest to him, endured painful decades as an outsider unable to secure work and settle down, and when he thinks of losing James and Lily he speaks the words Harry needs to hear, the words of a parent. I love Lupin so much, but more on that in a bit. (3) Not necessarily a quote, per se, but the section of dialogue I mentioned above where Harry speaks with Sirius about leaving the Dursleys and coming to live with him instead. I know that Sirius is beloved, but I've always favored Lupin. Always. (See what I did there?) His illness and what he symbolizes as a rejected, misunderstood man is so heartbreaking. This was always readily evident within the character development and plot of the series--his werewolf status, the judgment he endures, the physical pain of the transformation and ill health, his gray hairs far beyond his years and shabby clothes--Lupin! Hang in there! We are rooting for you! He lived in James and Sirius' shadows and was relegated to the fringes of society but he never becomes bitter. 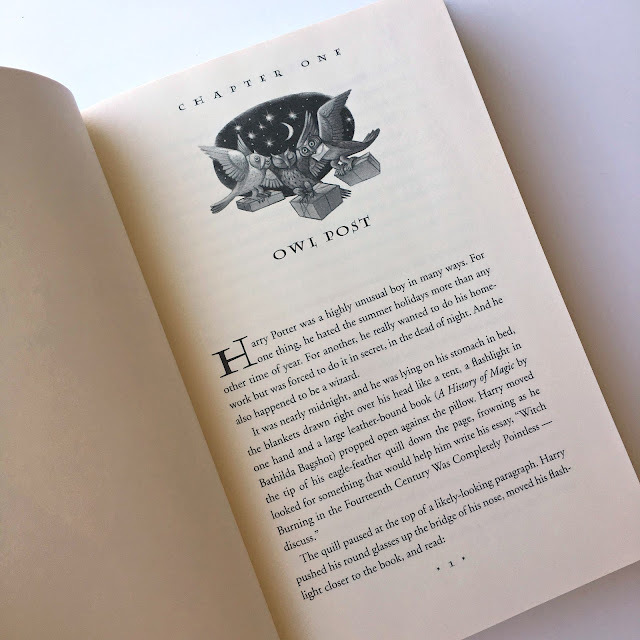 While there's a moment in book seven where Harry doubts Lupin's abililty to love and sacrifice, he's quickly proven wrong. When I first read J.K. Rowling's additional details about Lupin on the Pottermore website, I just nodded my head in agreement and adored that he too is is one of her favorite characters in the entire series. 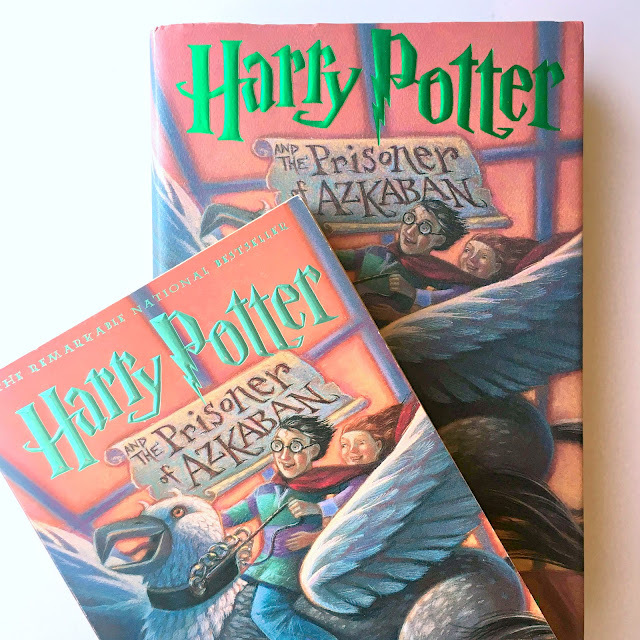 What's your favorite or least favorite section of Harry Potter and the Prisoner of Azkaban? Are you a Sirius fan or Lupin fan? Ugh, isn't Wormtail just the worse? Ick. I love Lupin! One of my fav. things about book 3 is that it demonstrates chocolate's magical abilities to combat depression. I always suspected as much! Brilliant, Catherine! I completely agree.